Just released my final track of 2016, a remix from Paradox's epic space strategy game Stellaris. So prepare those FTL drives and get ready to jump to hyperspace! Free download available in the description, shares are always appreciated! 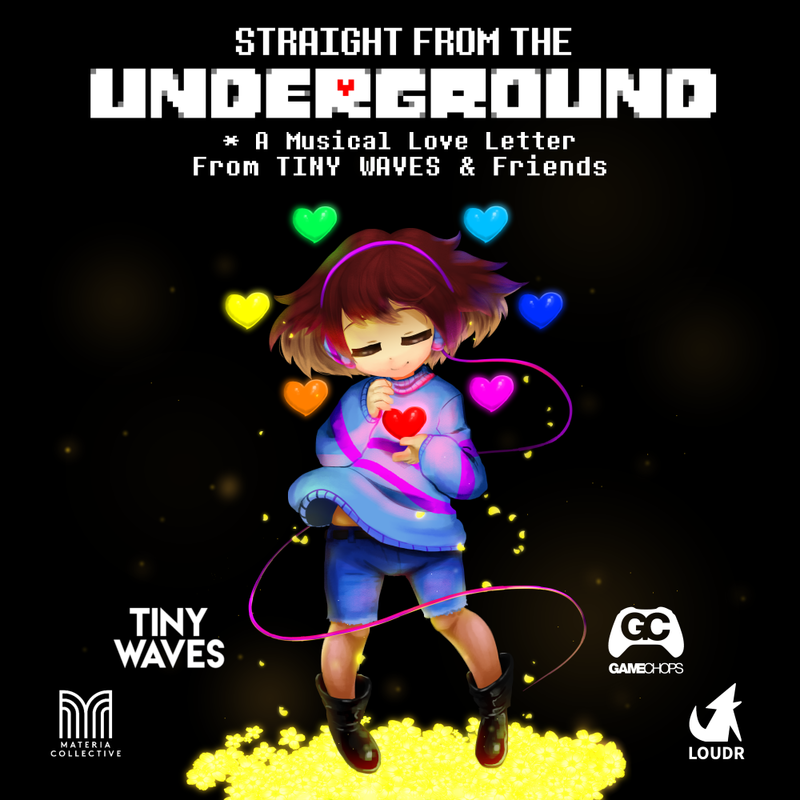 Tiny Waves, GameChops and Materia Collective have just joined forces to release the ultimate Undertale remix album: Straight from the Underground. 35 tracks from 30 artists - it's FILLED WITH DETERMINATION! And remember you can stream all my music on Spotify free! Every play on Spotify and YouTube helps to support me making more music. YouTube Update: Final Fantasy VI! Here's the latest videos posted to my youtube channel, this week the theme is Final Fantasy VI! OHHH YESSSS! Beauties and gentlebeauties, METTATON is proud to present MYKAH'S remix of DEATH BY GLAMOUR from UNDERTALE. Watch the video on YouTube right now and your evening will be ABSOLUTELY BEAUTIFUL! Game of Thrones Music Video! I'm celebrating the start of the new series of Game of Thrones with this brand new music video for my Game of Thrones remix. Featuring both snow and wolf doggos, it's surely not to be missed. New Music Videos Up on YouTube! Uploaded another two music videos to my youtube channel. Check them out right here. Free downloads are available on both tracks if you follow the links in the description. * Undyne suplexes a giant youtube video, just because she can. My next Undertale remix: Battle Against a True Hero is now available to stream on YouTube, and you can get a free download of it by subscribing to my channel. * You called for help. . . but nobody came. YOU IDIOT! 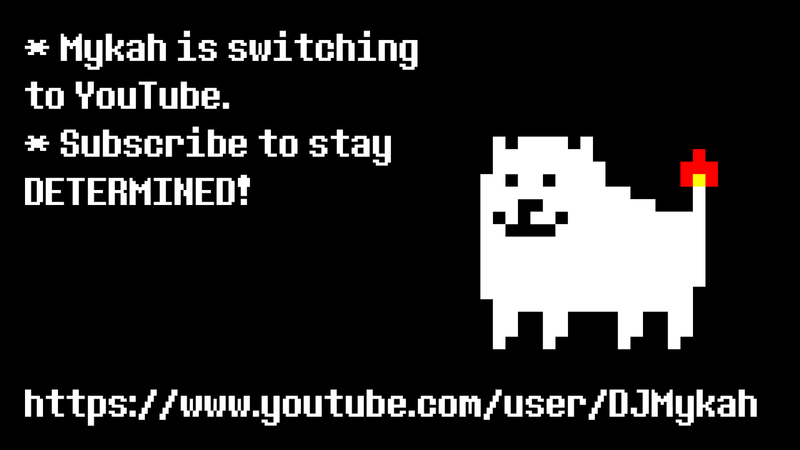 In this world it's watch YouTube or Flowey will watch it for you. My remix of Finale from Undertale is now available to stream on YouTube and Soundcloud! Free download by following the link on Soundcloud! Mykah is now a NIGHTCORE artist! Good news everyone! I have decided to switch my entire musical direction to solely making NIGHTCORE bangers! For a taster of my new sound, check out the Super Video Game Nightcore Mixtape from supergroup Party Members! It's going to have all the tracks from my soundcloud AND more! The king of the monsters is here: ASGORE! My remix of ASGORE's theme from Undertale is now available for free download at my soundcloud page. So have a listen and please share if you like it! The first full original album Overwrite Future from Mykah is now available! 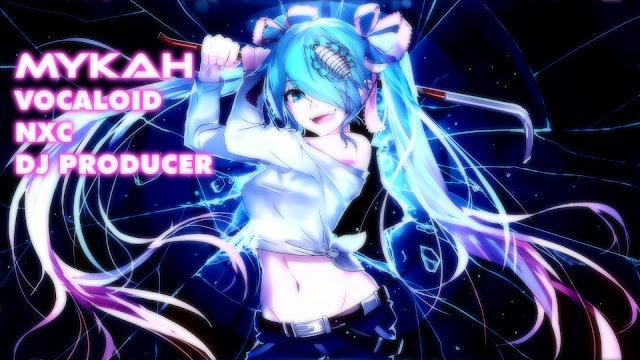 Overwrite Future is the first full length original album from Mykah. 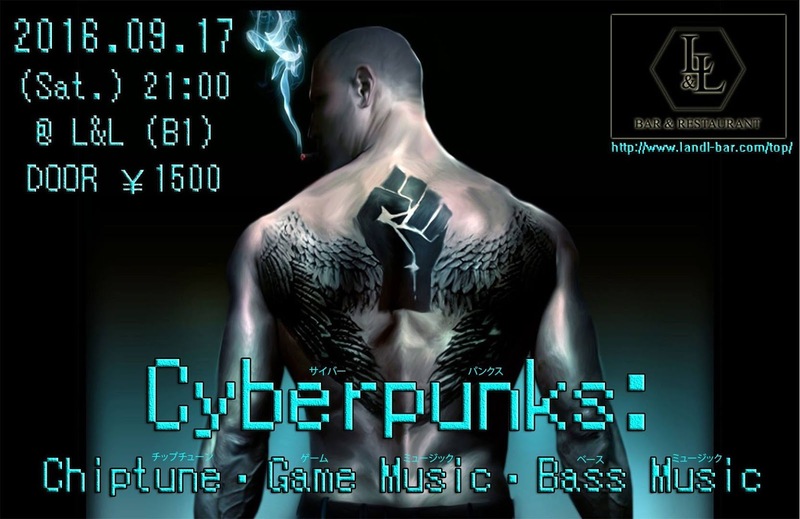 Blending elements of the future and the past with the combination of electronic dance music and chiptune. 8 tracks of energetic chiptune dance music bangers, covering everything from drum & bass to house to psychedelic trance. How About a Nice Cup of Spiders?! More Undertale from Mykah?! Yes that's right. A second Undertale remix is now available on the GameChops youtube channel. This time it's a ludicrous 200bpm drum & bass / nightcore remix of Spider Dance, battle theme of the lovely Muffet. Why not do a synchronized dance with the spiders whilst jamming out to this track. Finally, the moment you've all been waiting for. The Great Papyrus has at last arrived on the GameChops YouTube channel. Have a listen and don't forget to bring your spaghetti! Dropped my first new track of 2016. It's Clowns, Clowns Everywhere a remix of the circus battle music from the original Shining Force on the Sega Mega Drive / Genesis.